The arrival of Marie Kondo (and with it, the KonMari method where you declutter and organise your things) just so happens to be a friendly little reminder that the beauty products you’ve haphazardly retired to your side drawer need an upgrade. Which is why Utena is doing you a solid when it comes to sticking to your game plan by possessing items that only “spark joy”. While we lend you emotional support as you clean out your gunked-up mascaras and expired face creams, we’ve collected a dream team ensemble by Utena that will have you claiming your right to treat yourselves via a beauty buy (or four) this season. Don’t wait for those fine lines to roll around until you show your skin some love. This Collagen set teaches us how to appear well-rested by promising to restores skin’s elasticity with collagen while aiding in firming the contours of your face. 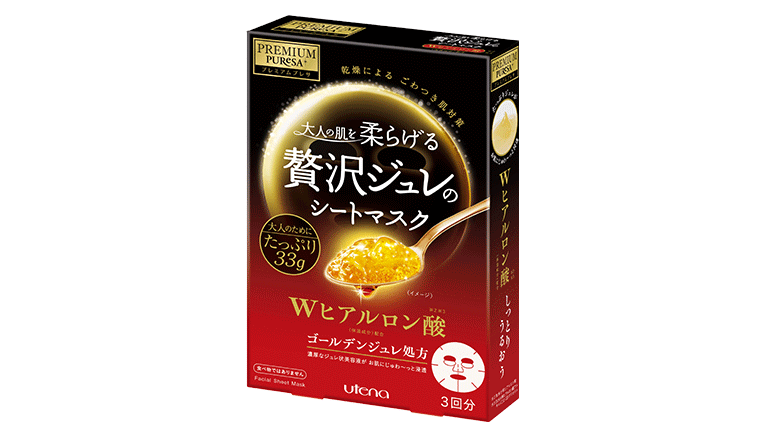 The Premium Puresea Golden Jelly Mask series is also soaked for a 6-day period for maximum absorption and free from artificial fragrances and alcohol. Good thinking, Utena. 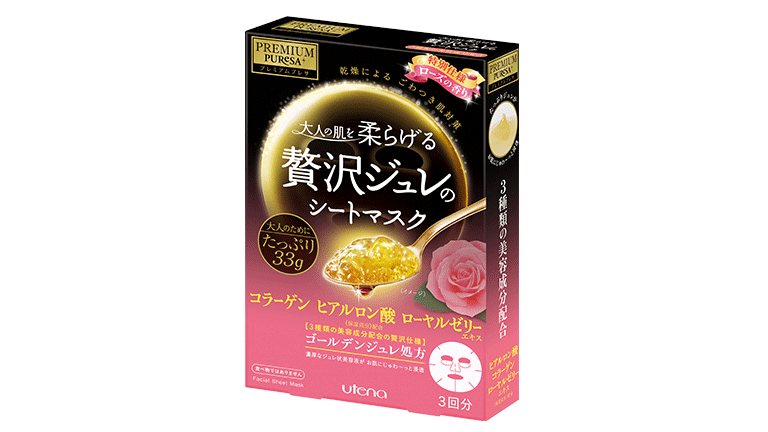 This ultra-moisturising blend of hyaluronic acid, royal jelly, collagen and natural rose extract are meant to be the perfect antidote for your dry, troubled complexion when it’s begging for some tender loving care. It works to gently quench your skin, tone your face and produce a youthful glow. Radiance guaranteed. The struggle is real. While there’s no shame in getting older, the telltale signs of ageing (read: wrinkles, dark spots, sagging skin) can call for products that aid in maintaining that fresh, youthful glow. 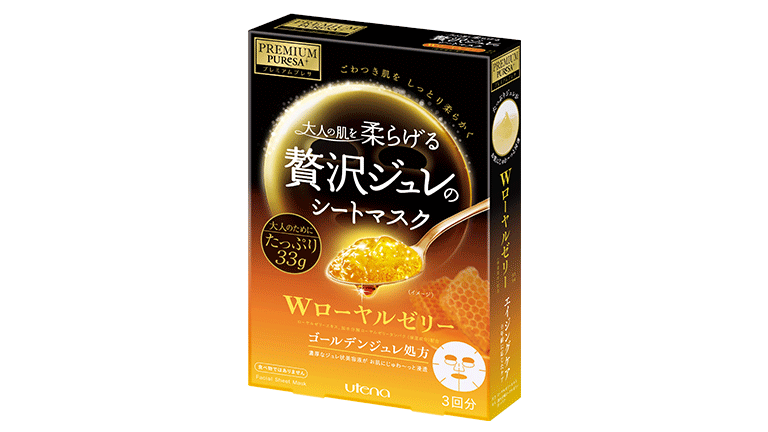 Like a sip from the Fountain Of Youth, this Royal Jelly mask delivers by adjusting the skin’s oil and moisture balance. If you’ve been sacrificing your beauty sleep (hello, dull and dry complexion!) and in need of a moisturising powerhouse, this Hyaluronic Acid pack is a solid side drawer staple. Enriched with a premier hydrating ingredient in addition to jelly essence, this nourishing sheet masks encourages a moisture-rich boost to flaky skin. We gave this a try and we found it to be moisturising, cooling, and gives your face that “glass skin” effect. Truth is, slathering on some lotion doesn’t demand effort, but to ensure that your skin stays moist and firm, attention must be paid. This jelly-type lotion contains Kanazawa golden leaves to keep skin firm and 5 types of moisturising ingredients that are said to provide better absorption of your other products! It’s hydrating without weighing down your skin and doesn’t leave behind any sticky residue after application. Combining it with the Golden Jelly Masks also promises to boost skin’s moisture by up to 121%. Dehydration 0, complexion 1. We’re here to share a secret product that promises to make your a.m. hair routine just a little easier. In the all-too-familiar scene of rushing out the door, this Hair Arrangement Water (aka a water-based wax) helps for easier hair styling without that undesirable greasy effect. It has natural ingredients such as shea butter and argan oil and boasts a fast drying, non-sticky formula. Not to mention, it even protects against UV rays and repairs your split ends —promising noticeably softer and healthier hair! Simply spray on before styling! Utena’s new Hair Styling Sticks helps to keep your loose strands in place without weighing your hair down, plus its compact, portable size makes it ideal for taming unruly hair on-the-go. But the coolest part is that you needn’t dip your fingers in the wax. With a twist of the cap, you can simply apply the balm to pesky flyaways in keeping with your hair flow. Available in two variations, regular and strong hold, their award-winning hair wax formulation builds in shine and smoothness without hardening your strands all while providing a natural finish. For more information, head down to any of these retailers: Watsons, Tokyu Hands, Welcia-BHG, Don Don Donki, Metro, Robinsons, Qoo10, Redmart, Lazada, Shopee.